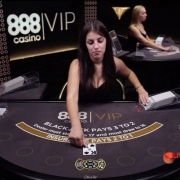 Players familiar with Evolution Gaming’s table range will know that they are not short on high limit tables: Diamond VIP blackjack has seat minimums starting at €1,000 or more depending on which casino you’re playing at; the Grand, Fortune and Platinum tables aren’t much lower. VIP limit French and European roulette tables have also been available long before the Salon Privé tables arrived on the scene. But Salon Privé isn’t just about high limits (indeed maximum bets aren’t any higher than the Diamond VIP table). It’s about complete exclusivity. Only players with €£ 6,000 or more in their casino accounts (or approximate playing account currency equivalent) will be able to open any of these tables. The rest of use get the following message when trying to gain access. If you do pass the 6K account hurdle, then once you open your chosen Salon Privé Blackjack or Roulette table it’s all yours. No other players can join the table…either to play or even too watch. For the duration of your session the table will be marked occupied and locked to all other players in the casino lobby. Having exclusive access to the table is the main benefit. You have the undivided attention of the dealer, or VIP host. 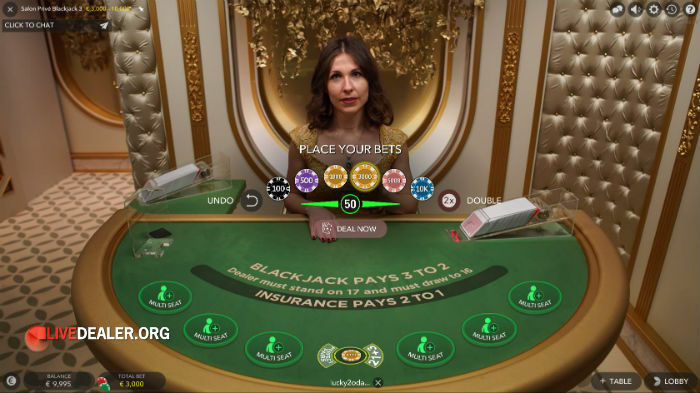 You will also have more time to place bets at your leisure (60 seconds for roulette, 50 seconds for blackjack), and any special requests you may have (eg dealer change) will be entertained (within reason). Salon Privé Blackjack. Play a single seat, Play them all. Up to 50s between deals to decide what you want to do.